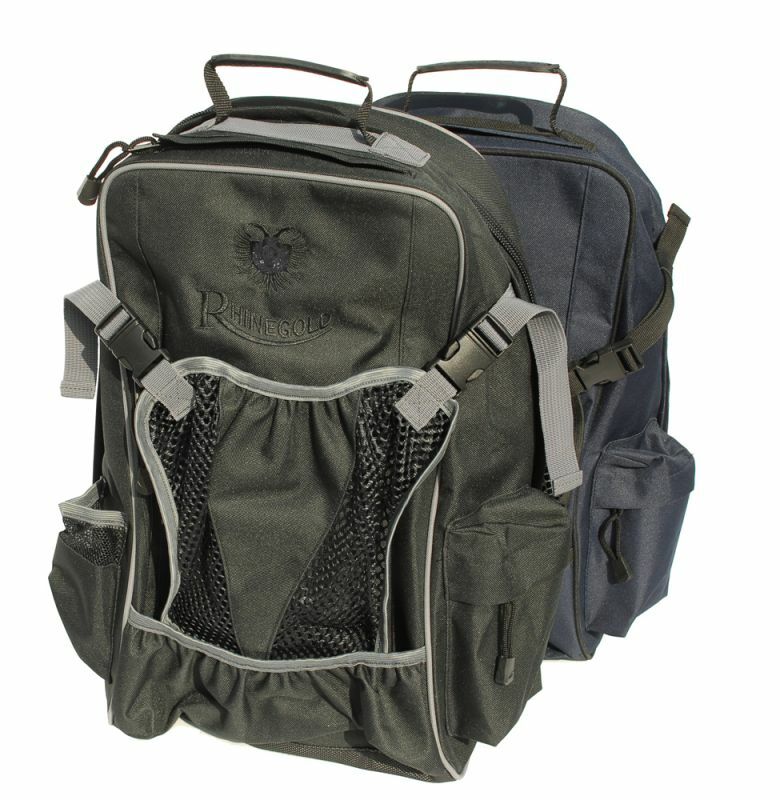 Versatile Backpack with padded over the shoulder straps and a rubber carry handle. 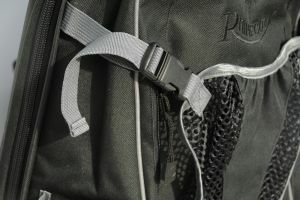 Nylon lined with a padded interior in two large pockets. 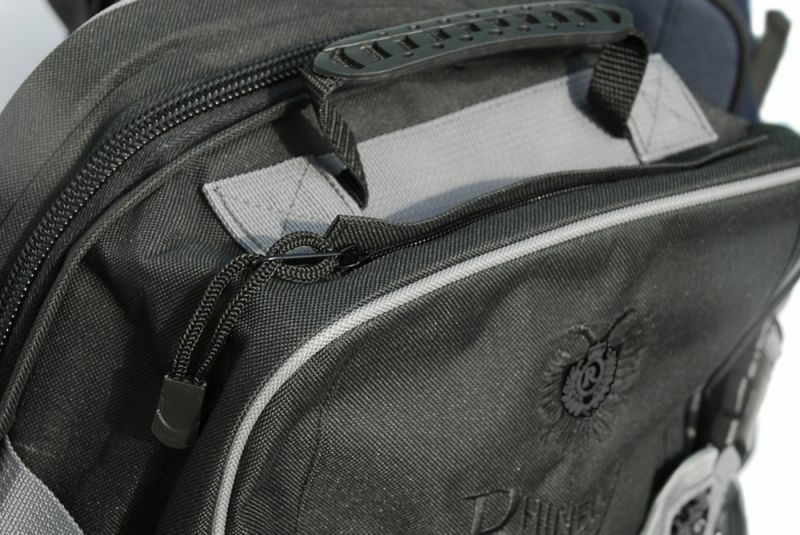 The outside features a handy expanding (detachable) hat pocket, side phone pocket ( for easy access) crop pocket, drink bottle pocket and a large interior top pocket. Great for organising yourself for shows and days out or for cycling to the yard. Made from a tough Cordura waterproof outer with easy to use clip in buckles. 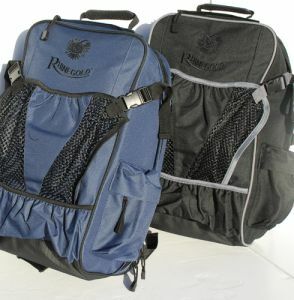 Embroidered logo to the front.